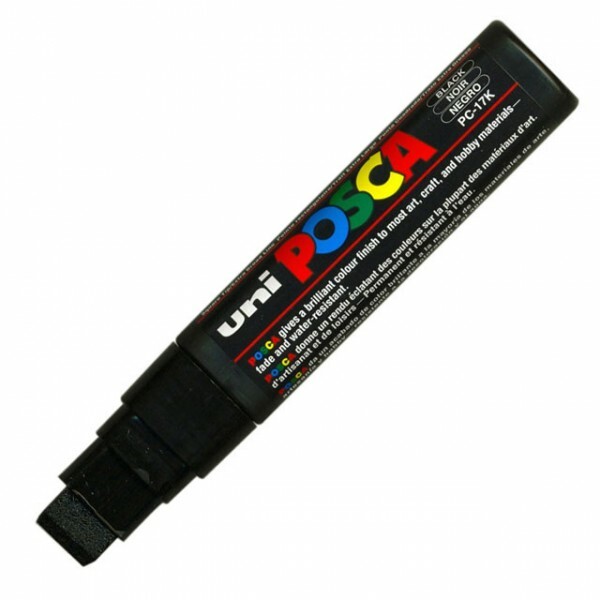 POSCA PC-17K extra-broad chisel tip is the member of POSCA’s range designed for experts. Artists to paint neat backgrounds on large-framed canvasses or any other large surface, to perform large-scale live and collective Street Art works. Professionals like craftsmen, shopkeepers to make signs on windows. Interior design amateurs to refresh a space, a piece of furniture, fabrics or bulky objects. 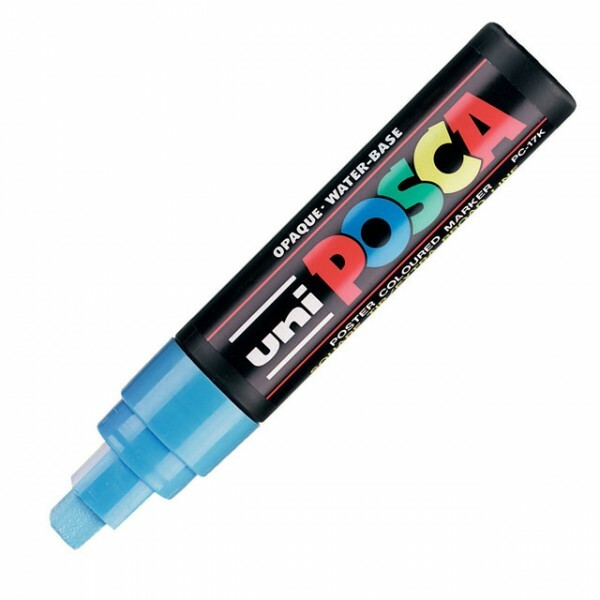 POSCA PC-17K's extra broad chisel tip is a favourite of professionals for successful writing and of artists to create huge artworks! Quick drying pigment, non-toxic ink. Water-based marker for any surface. Extra Broad Chisel tip 15.0 mm line width. Completely opaque poster colour marker available in a choice of vibrant colours. Individual Black ink colour marker. Price each - Order 5 to receive one box. 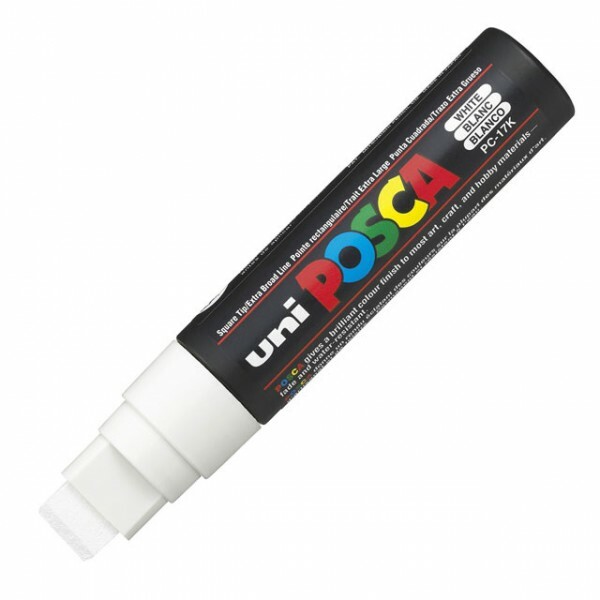 Individual White ink colour marker. Individual Blue ink colour marker. Individual Light Blue ink colour marker. Individual Green ink colour marker. Individual Red ink colour marker. Individual Yellow ink colour marker. 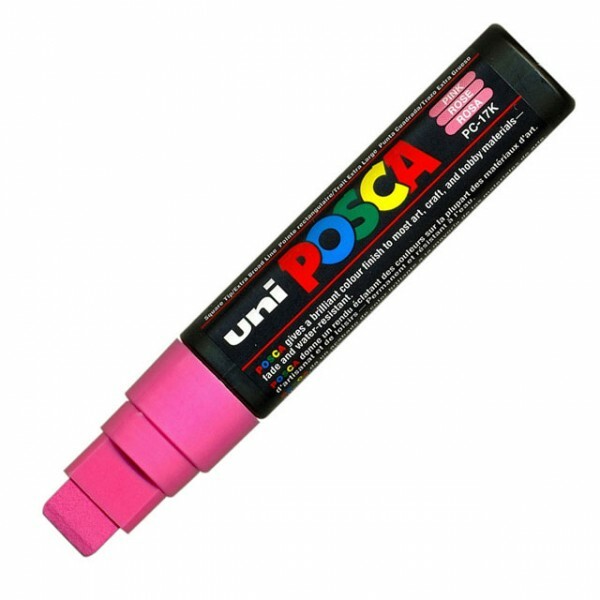 Individual Pink ink colour marker.